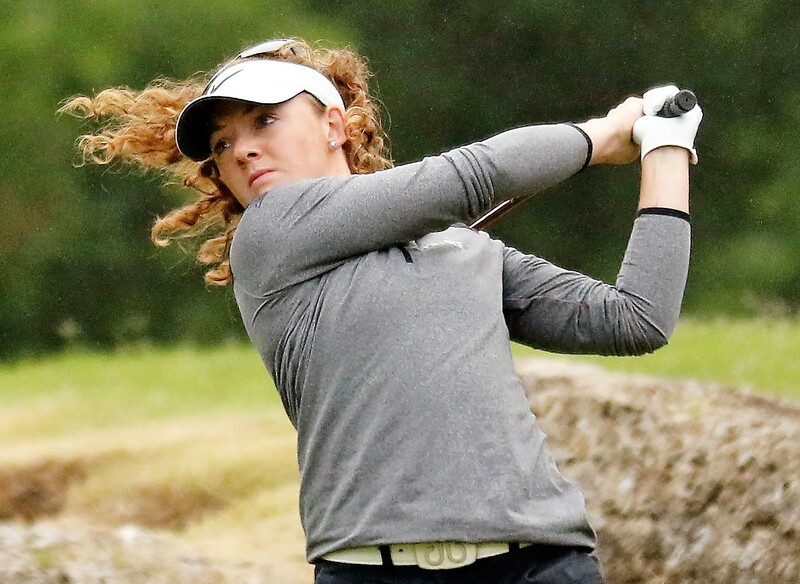 Scottish women's amateur champion Connie Jaffrey from Kilwinning and Niamh McSherry from Lurgan, Northern Ireland helped Kansas State University win the team title at the SMU Trinity Forest Invitational women's college tournament at Trinity Forest Golf Club, Dallas, Texas. They headed leaders Houston over the final round to finish with a total of 893 - two ahead of Houston with Tennessee (910) third. Missouri (913) finished T6, UNLV (Nevada-Las Vegas) (927) 12th and UTSA (Texas-San Antonio) (935) last of 13 teams. Jaffrey, with rounds of 74, 76 and 73 for a total of 223 over a par-72 course of 6,372yd, finished T8 in the individual standings eight shots behind the winner and Kansas State freshman team-mate, Reid Isaac (72-69-74 for 215). McSherry had three rounds of 75 for a T13 finish on 225. Freshman McSherry recorded her best finish so far, Her tie for 34th place at the Marilynn Smith/Sunflower Invitational which was also won by Kansas State. Former Scottish women's champion Clara Young from North Berwick, a student at the University of Missouri, scored 70, 75 and 82 for 227 and an 18th place finish. Elizabeth Prior (UNLV) from Surrey, a winner last time out, finished T30 on 231 with scores of 79, 75 and 77. Emma Allen (Missouri) from Southampton scored 83, 76 and 77 for a T45 finished on 236. Becky McGeehan (UTSA) scored 79, 80 and 80 for a total of 239 and a T56 placing in a field of 69 players. Stetson University's Paige Kemp, whose mother comes from Stirling, and Dollar's Perth and Kinross county player Eilidh Watson finished T16 and T56 respectively in a field of 74 players at the University of Southern Florida Intercollegiate at Lutz, Florida. Paige had rounds of 79, 78 and 75 for a 232 total over a par 71 course of 6,145 yards. Eilidh shot 81, 89 and 80 for 250. Tilda Larsson (Barry) was the individual winner with rounds of 75, 73 and 74 for 222. Stetson's Carolin Schart finished second with a 224 total from scores of 75, 73 and 76.